Sleeves. Something that I thought its sole purpose was to keep my arms covered up has turned into my style obsession as of late. Now when I'm shopping for tops the first thing I check for is the sleeve detail because it just makes a top THAT much more fun! 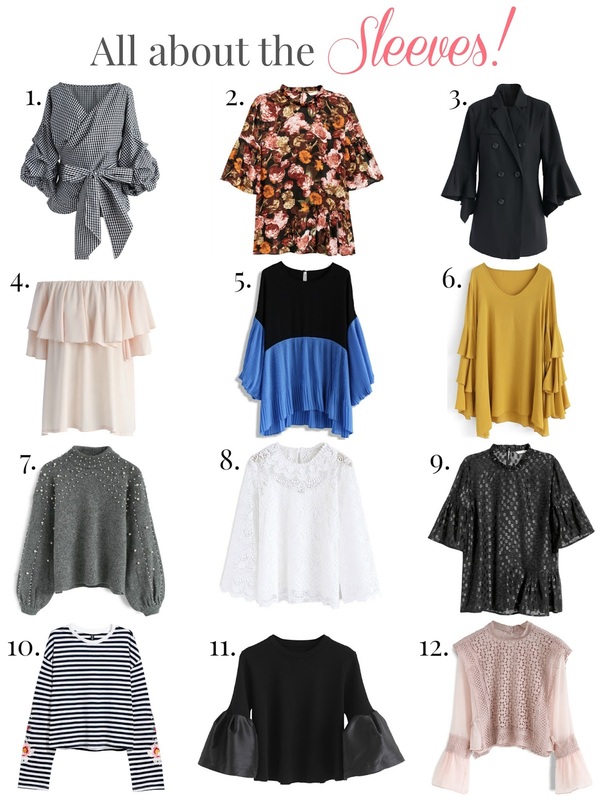 Today I wanted to round up some cool sleeved tops to spice up your wardrobe (you'll recognize four of those that I have styled here on my blog). And because I'm always thinking about y'all's budget (like I do mine), I have kept these well below $100! But hurry because I noticed some were low in stock, so pick them up while you can, or simply enjoy how I styled some of them. Add a cute choker or dainty necklace especially if the top has a low neckline or off the shoulder! - see this full outfit blog post here! 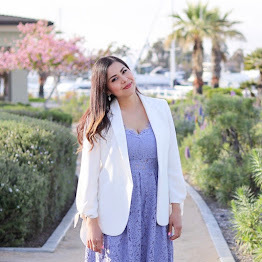 Go for a pastel like this blush colored top for an airy frilly look - see this full outfit blog post here! Pair or layer it with a different textured top, like this lace one! - see this full outfit blog post here! Pair it skinny jeans and over the knee boots, it makes the top be the statement piece and also give it a fierce twist - see this full outfit blog post here! Hope you enjoyed this round up! If you like any of these tops I highly recommend snatching them up now since I noticed a couple of them were low in stock! Happy Shopping! These are SO cute. I love the bold sleeve designs. They really make the pieces special.